NEW YORK (Reuters) – U.S drugmaker Bristol-Myers Squibb Co, which is set to buy biotechnology company Celgene Corp for $74 billion, posted slightly better-than-expected first-quarter earnings on Thursday on strong sales of its blockbuster blood thinner Eliquis. Net earnings in the quarter rose to $1.71 billion, or $1.04 a share, from $1.49 billion, or 91 cents a share, a year earlier. Excluding one-time items, the company said it earned $1.10 a share. That beat the average analyst estimate by a penny, according to IBES data from Refinitiv. Bristol-Myers said it still expects full-year adjusted earnings of $4.10 to $4.20 per share. Revenue in the quarter was $5.92 billion, exceeding analysts’ estimates of $5.75 billion. That difference is largely due to Eliquis, which Bristol shares with Pfizer Inc. Sales of the drug used to prevent blood clots that can cause strokes jumped 28 percent from last year to $1.93 billion. Analysts had expected $1.82 billion from the drug in the quarter. Sales of cancer immunotherapy Opdivo were in line with Wall Street expectations at $1.8 billion, up 19 percent from a year ago but basically flat compared with the previous quarter. Bristol-Myers pioneered cancer immunotherapy with its first such drug Yervoy and later Opdivo. 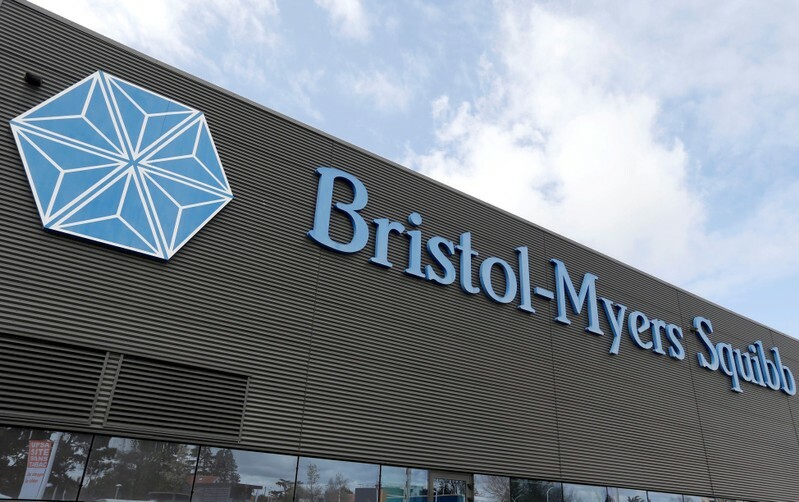 But Merck & Co’s rival treatment Keytruda has taken a dominant position in lung cancer – the most lucrative oncology market – taking a toll on Bristol-Myers shares. Some analysts and investors have suggested that one reason Bristol launched its bid for Celgene was over concerns about Opdivo’s growth after losing ground to Merck. Bristol said it still expects the deal to close in the third quarter, after its shareholders voted to approve the deal earlier this month despite a campaign by activist hedge fund Starboard Value LP to scuttle it. The company announced in early January that it planned to buy Celgene in a cash and stock transaction to bring together companies that specialize in oncology and cardiovascular drugs in what would be the largest pharmaceutical industry merger ever. The New York-based drugmaker has said the combined company will have six drugs with expected near-term launches – five from the Celgene pipeline – representing over $15 billion in annual revenue potential, as well as strong early-stage experimental assets. Shares of Bristol-Myers closed at $44.62 on the New York Stock Exchange on Wednesday. They are off by about a third since October, when shares dropped due to setbacks for Opdivo in lung cancer. The sprawling Democratic field features candidates ranging from 37 to 77 years old; liberals and moderates; senators, governors and mayors; and an unprecedented number of women and minorities. Democrats view the upcoming election as a must-win, and they’re looking to nominate someone who is their best hope to beat President Donald Trump. Best known for: Being former President Barack Obama’s vice president from 2009 to 2017 and U.S. senator from Delaware from 1973 to 2009. Biggest strength: He’s well-known nationally and popular in some places Democrats have lost recently, such as working-class swing states Wisconsin, Michigan and Pennsylvania, his birthplace. Biggest weakness: Biden would be the oldest person ever elected president, with a nearly five-decade record for opponents to comb through, at a time many in his party are clamoring for a new generation to take the reins. The notoriously chatty former senator also tends to commit verbal gaffes and faced recent accusations by some women of uninvited, though nonsexual, touching. Best known for: Serving as mayor of Newark and, currently, U.S. senator from New Jersey. He made headlines last year during his self-proclaimed “‘I am Spartacus’ moment” as he flouted Senate rules against disclosing confidential documents during Brett Kavanaugh’s Supreme Court confirmation fight. Biggest strength: His optimistic, unity-first attitude could resonate at a time of deep political divisions. Biggest weakness: Trying to convince voters that he’s tough enough to take on Trump. Best known for: Serving as mayor of South Bend, Indiana, and being a former Naval intelligence officer. Biggest strength: He’s won over voters and many skeptics with his intelligence and an articulate yet plain-spoken speaking style. He’s also shown an ability to inspire voters of different ages with a message of hope and “a new generation of leadership” and has been able to raise millions more than many of his Democratic rivals. Biggest weakness: His youth and lack of political experience — his only public office has been leading the community of about 100,000 people — will give some voters pause. He also will need to ramp up his campaign operations and do more to appeal to minority voters in order to maintain his early momentum. Best Known for: Serving as Health and Human Services secretary during President Barack Obama’s second term and as the mayor of San Antonio, Texas, for five years. Biggest strength: His youthfulness and status as the only Latino in the race could help him win the votes of Democrats looking for a new face of their party. Biggest weakness: His fundraising lags well behind other contenders. Best known for: Being a former congressman from Maryland. Biggest strength: He has rolled out a rural-focus policy that includes proposals to strengthen family farmers and rural infrastructure, a plan that could play well in the battleground Rust Belt states won by Trump. Biggest weakness: Low name recognition. Best known for: Serving as a U.S. representative for Hawaii; the first American Samoan and first Hindu to be elected to Congress. Biggest strength: Her military service in Iraq and Kuwait with the Hawaii National Guard. Biggest weakness: She has been criticized for traveling to Syria in 2017 to meet with Syrian President Bashar Assad, who has been accused of war crimes and even genocide. She was also forced to apologize for her past work advocating against gay rights. Best known for: The senator from New York is one of her chamber’s most vocal members on issues of sexual harassment, military sexual assault, equal pay for women and family leave. Biggest strength: Not being afraid to defy her own party in the #MeToo era, calling early for Democratic Sen. Al Franken’s resignation over sexual misconduct allegations and saying Bill Clinton should have voluntary left the presidency over an affair with intern Monica Lewinsky. Biggest weakness: Sluggish campaign fundraising in the wake of some unpleasant #MeToo headlines of her own, with Gillibrand acknowledging there were “post-investigation human errors” made when her Senate office investigated allegations of sexual misconduct against various staffers. Best known for: The former California attorney general is now the junior U.S. senator from California, known for her rigorous questioning of Trump’s nominees. Biggest strength: As the one black woman in the race, she’s able to tap into networks like historically black colleges and universities and her Alpha Kappa Alpha sorority that haven’t been fully realized before. Biggest weakness: Her prosecutorial record has come under scrutiny amid a push for criminal justice reform. Best known for: Being a quirky brewpub owner who became a politician late in life, rising to governor of Colorado. Biggest strength: An unorthodox political persona and successful electoral track record in a swing state. He’s one of the few governors in a race heavy with senators and D.C. stalwarts. Biggest weakness: He’s previously joked that he was too centrist to win the Democratic nomination. As governor he disappointed some environmentalists by not regulating the energy industry more. He’s another white male baby boomer in a party filled with younger and more diverse candidates that better reflect its base. Best known for: Being governor of Washington state and a former congressman. Biggest strength: His campaign emphasis is on combating climate change, which he frames as an economic opportunity in addition to a moral imperative. Biggest weakness: He risks being labeled a one-issue candidate. Biggest strength: She’s known as a pragmatic lawmaker willing to work with Republicans to get things done, a quality that’s helped her win across Minnesota, including in rural areas that supported Trump in 2016. She says her Midwestern sensibilities would help Democrats reclaim critical battlegrounds like Wisconsin and Michigan. Biggest weakness: Her pragmatism may work against her in a primary, as Democratic voters increasingly embrace more liberal policies and positions. There have also been news reports that she has mistreated staff. Best known for: Serving as the mayor of Miramar, Florida, and playing on the Florida State University Seminoles’ 1993 national championship football team. Biggest strength: He touts his mayoral experience balancing government regulations needed to protect the environment while allowing room for companies to prosper. Biggest weakness: Low name recognition and funding. Best known for: The Massachusetts congressman and Iraq War veteran gained national attention for helping lead an effort within the party to reject Nancy Pelosi as House speaker after Democrats regained control of the chamber. Biggest strength: Military and congressional experience. Biggest weakness: Low name recognition, late start on the fundraising necessary to qualify for the summer debate stage. Best known for: The former congressman narrowly lost the 2018 Senate race to Republican Ted Cruz in Texas, the country’s largest conservative state. Biggest strength: A do-it-yourself campaign style that packs lots of travel and multiple events into long days and encourages off-the-cuff discussions with voters that still allow O’Rourke to talk up his days as a onetime punk rock guitarist and his love for his home on the U.S.-Mexico border. Biggest weakness: He’s longer on enthusiasm and vague, bipartisan optimism than actual policy ideas, and the style-over-substance approach could see O’Rourke’s strong early fundraising slip once the curiosity begins to fade. Best known for: The Ohio congressman made an unsuccessful bid to replace Nancy Pelosi as House Democratic leader in 2016. Biggest strength: Ryan has touted himself as a candidate who can bridge Democrats’ progressive and working-class wings to win the White House. Biggest weakness: Low name recognition, late start on grassroots fundraising. Best known for: A 2016 presidential primary campaign against Hillary Clinton that laid the groundwork for the leftward lurch that has dominated Democratic politics in the Trump era. Biggest strength: The Vermont senator, who identifies himself as a democratic socialist, generated progressive energy that fueled his insurgent 2016 campaign and the best fundraising numbers of any Democrat so far. Biggest weakness: Expanding his appeal beyond his largely white base of supporters. Best known for: The California congressman is a frequent guest on cable news criticizing President Donald Trump. Biggest strength: Media savvy and youthfulness could appeal to young voters. Best known for: The senator from Massachusetts and former Harvard University law professor whose calls for greater consumer protections led to the creation of the Consumer Financial Protection Bureau under then-President Barack Obama. Biggest strength: Warren has presented a plethora of progressive policy ideas, including eliminating existing student loan debt for millions of Americans, breaking up farming monopolies and mammoth technology firms, implementing a “wealth tax” on households with high net worth and providing universal child care. Biggest weakness: She is viewed as one of the most liberal candidates in the Democratic field, which could hurt her chances among moderates. Her policy-heavy approach also risks alienating voters at a time when other candidates are appealing to hearts as much as to minds. Best known for: Best-selling author and spiritual leader. Biggest strength: Outsider who could draw interest from voters who are fans of her books. Biggest weakness: Low name recognition, little political experience. Best known for: Entrepreneur who has generated buzz with his signature proposal for universal basic income to give every American $1,000 a month, no strings attached. Biggest strength: Robust policy agenda, tech savvy. Biggest weakness: Low name recognition, no political experience. 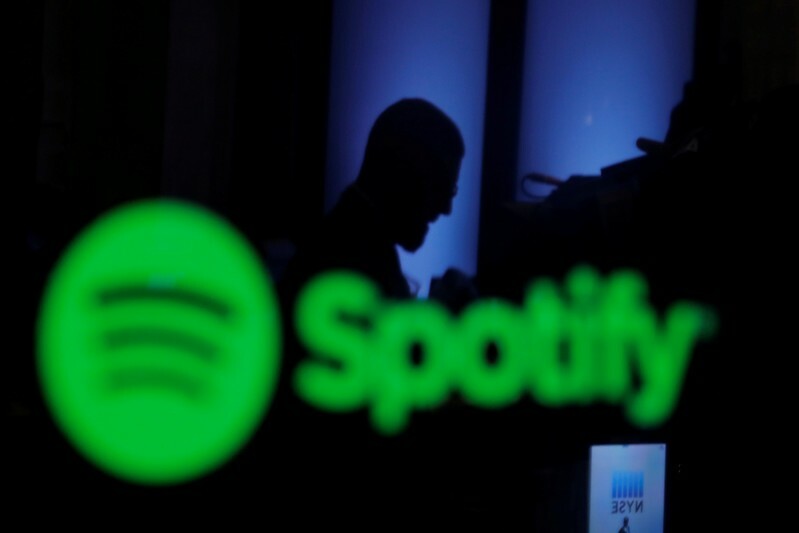 BENGALURU (Reuters) – Music streaming service Spotify Technology SA said it will remove all songs belonging to one of India’s oldest record labels from its app after they failed to agree on licensing terms, months after the Swedish company’s launch in the country. According to a court document, Saregama India Ltd filed a petition with the Delhi High Court seeking an injunction against Spotify to stop it from using its songs. According to the court document dated April 23, Spotify’s senior counsel said the streaming service would remove all Saregama songs from its app within 10 days. Spotify said last month it had more than 1 million unique users in India across its free and premium categories within a week of its launch. The company offers a free version supported by ads and a premium ad-free variant that charges users 119 rupees ($1.68) per month. Rodriguez (2-2) struck out seven while allowing one run on two hits and three walks. 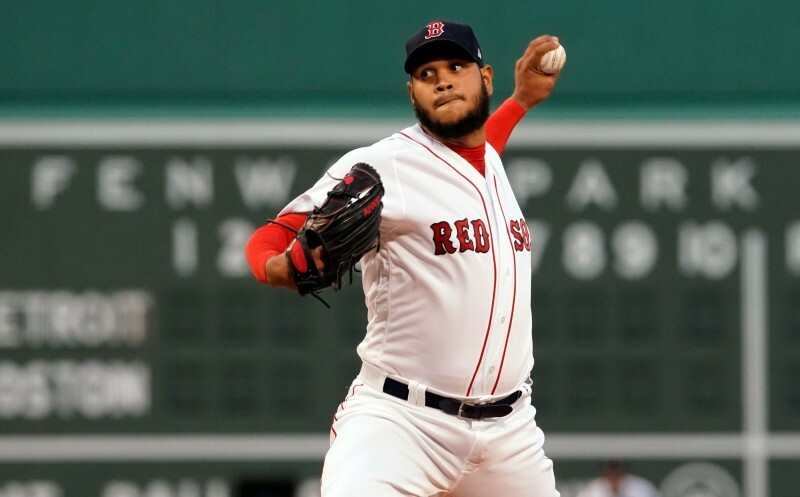 He kept the Tigers hitless over his first 4 1/3 innings as the Red Sox rebounded from a doubleheader sweep on Tuesday. After Brandon Workman struck out the side for Boston in the seventh, Matt Barnes did the same in the eighth, though Detroit had loaded the bases with two outs while down 4-1. Barnes fanned Ronny Rodriguez on three pitches to escape the jam. The Red Sox sent 12 men to the plate and scored seven runs in the bottom of the eighth to make it a blowout. Three came home on bases-loaded walks. Justin Verlander gave up four hits and a run over eight innings to pick up his fourth win, and Michael Brantley, Carlos Correa and Josh Reddick each homered to lead Houston to victory over visiting Minnesota. It was the seventh straight victory for Verlander (4-0) dating back to last season. He struck out eight and didn’t walk a batter while improving to 20-9 all-time against the Twins and becoming the first Houston starter to pitch past the seventh inning this season. Brantley, Reddick and Robinson Chirinos each had two hits for Houston, which won the series 2-1. Jorge Polanco homered for Minnesota. Kohl Stewart (0-1), recalled from Triple-A Rochester earlier in the day, took the loss. Vince Velasquez combined with four relievers on a six-hit shutout for visiting Philadelphia, which blew open a close game by scoring three times in the eighth inning to beat New York. The Phillies, who were outscored 14-1 in losing the first two games of the three-game series, won for just the second time in the last seven games. Velasquez (1-0) danced around trouble all night and had just one 1-2-3 inning, but he stranded seven baserunners in his five innings, including five in scoring position. The right-hander allowed three hits and three walks while striking out six. Rookie right-hander Chris Paddack allowed one hit over seven shutout innings and Ian Kinsler homered on the first pitch he saw from Felix Hernandez as San Diego defeated visiting Seattle. Paddack and relievers Trey Wingenter and Kirby Yates combined on a two-hit shutout and retired 24 of the last 25 Mariners they faced — with the only baserunner during the stretch erased on a game-ending double play turned by rookie shortstop Fernando Tatis Jr.
Paddack (1-1) picked up his first major league win in a pitching duel with Mariners veteran Hernandez (1-2). The 6-foot-5, 23-year-old Paddack retired the last 19 Mariners he faced after working out of a bases-loaded, two-out jam in the first. Marcell Ozuna and Yadier Molina homered in a four-run fourth inning, and St. Louis completed a three-game sweep of visiting Milwaukee as the Cardinals won their fifth straight overall. Ozuna, Paul Goldschmidt, Lane Thomas and Paul DeJong had two hits each for St. Louis. Brewers first baseman Eric Thames homered for the Brewers in the 10th meeting between these teams already this season. St. Louis right-hander Adam Wainwright (2-2) went six innings, allowing one run and four hits with three strikeouts and a walk. Brewers starter Jhoulys Chacin (2-3) did not allow a hit through the first three innings, but he gave up back-to-back singles to Goldschmidt and DeJong to open the fourth before Ozuna lined a three-run homer over the fence in left for a 3-1 lead. Kansas City snapped a five-game overall losing streak — and a 10-game skid against Tampa Bay — with a victory in St. Petersburg, Fla. It was the first time this season the Royals have scored 10 runs. Adalberto Mondesi homered and had four RBIs for the Royals, who went 6-13 in a 19-day stretch without a day off. Kansas City is off Thursday. Jakob Junis (2-2) pitched five solid innings, allowing one run on four hits with six strikeouts and two walks. But he had to leave after taking a line drive off his pitching hand to end the fifth, suffering a contusion. Blake Snell (2-2) took the loss for Tampa Bay in his first start after coming off the 10-day injured list due to a broken toe on his right foot. Chad Pinder dumped a game-winning single into shallow right-center field that scored Stephen Piscotty with two outs in the bottom of the ninth inning, as host Oakland took advantage of a Texas defensive miscue to complete a three-game sweep. In a game that featured five home runs — including a three-run shot by the A’s Marcus Semien in the second inning and a pair of solo shots by the Rangers’ Nomar Mazara — Oakland’s winning rally was the product of a pair of singles sandwiching a stolen base, which occurred when Texas forgot to cover second base on Piscotty’s steal attempt. Pinder then hit the next pitch by the Rangers’ fourth pitcher, Chris Martin (0-2), for the walk-off single. A’s closer Blake Treinen (1-1), who escaped a two-on, one-out situation in the top of the ninth by inducing a double-play grounder, got the win. Javier Baez and Jason Heyward each hit three-run home runs in a six-run sixth inning, and Anthony Rizzo also doubled and drove in a run for Chicago, which won for the seventh time in eight games. Cody Bellinger and Alex Verdugo homered for Los Angeles. The Dodgers have dropped three of four. Cubs right-hander Brad Brach (2-0) earned the win in relief, retiring the only two batters he faced to close out the sixth inning. He replaced Cole Hamels, who gave up three runs on three hits with six walks and seven strikeouts in 5 1/3 innings. Dodgers left-hander Scott Alexander (1-1) drew the loss after giving up three runs in one-third of an inning. Charlie Blackmon homered, Raimel Tapia had two doubles and three RBIs, and Colorado beat Washington in Denver as Trevor Story doubled and tripled to extend his hitting streak to 13 games, which ties his career high. David Dahl had three hits, and Nolan Arenado drove in three runs for the Rockies. German Marquez (3-1) allowed three runs on eight hits and struck out seven over seven innings. He bounced back after pitching with an infected tooth in his previous start. Marquez had the tooth pulled. Wade Davis got the final out for his third save. Juan Soto homered and Matt Adams had three hits for the Nationals. Jake Noll’s first career hit was an RBI double in the second inning that gave the Nationals a 1-0 lead. Left-hander Drew Pomeranz pitched six innings, Pablo Sandoval hit a home run and visiting San Francisco defeated Toronto to complete a quick two-game sweep. Pomeranz (1-2) gave up two hits and two walks while striking out five as the Giants swept the two-game series. Two Giants relievers retired the final nine Toronto batters of the game. Toronto starter Clay Buchholz (0-1) gave up six hits and four runs in five-plus innings, striking out two and not walking a batter. 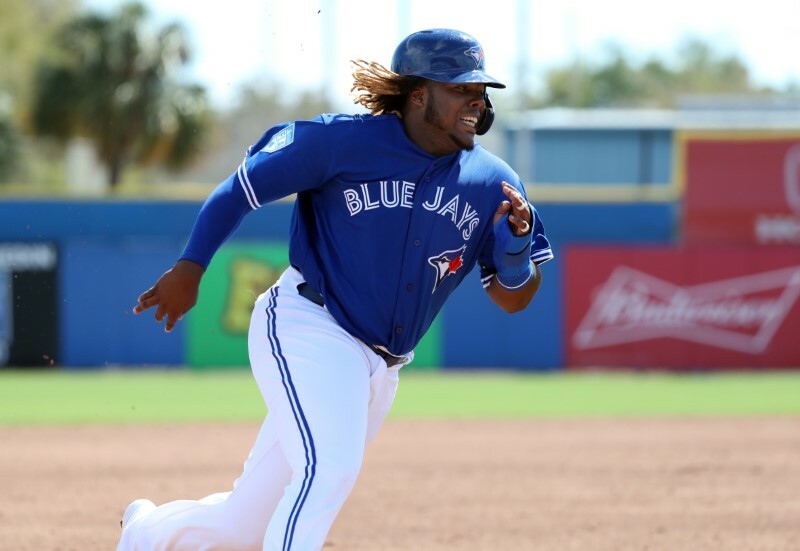 After the game, Blue Jays manager Charlie Montoyo told reporters that Vladimir Guerrero Jr., the top-ranked prospect in baseball, will be called up from Triple-A Buffalo to make his major league debut Friday at home against Oakland. Mike Soroka enhanced his case to remain in the Atlanta rotation by posting his second straight strong effort to help the visiting Braves to a win over Cincinnati. Soroka (1-1) pitched 5 2/3 innings and allowed only one run on five hits — all singles and two of those infield hits — with seven strikeouts in his first career start against the Reds. The effort helped Atlanta even the three-game series, which concludes on Thursday. Soroka, the team’s first-round draft choice in 2015, has now worked 10 2/3 innings and allowed two runs in his two starts since being recalled from Triple-A Gwinnett. Ketel Marte drove in four runs with two homers as visiting Arizona beat Pittsburgh for the third straight night. Nick Ahmed also homered, Eduardo Escobar was 3-for-4 with a triple and a double, David Peralta was 2-for-5 with two RBIs and Christian Walker was 2-for-5 with an RBI for Arizona, which has won nine in a row at PNC Park. The Diamondbacks can sweep the four-game series with a win Thursday. Arizona starter Merrill Kelly (2-2) went seven innings, giving up two runs and six hits, with five strikeouts and two walks. Josh Bell and Jung Ho Kang homered for Pittsburgh, which has lost a season-worst four straight. Jordan Lyles (2-1) took the loss. John Means pitched five strong innings, and the offense produced a series of timely hits, lifting host Baltimore to victory against Chicago. Baltimore earned a win in the rubber game of the three-game series thanks in part to Means’ solid return to the rotation, which was prompted by the club’s doubleheader over the weekend. The left-hander, who has operated as a swingman in the early season, improved to 3-2 by showing effectiveness with his changeup, scattering one run and four hits with one walk and six strikeouts. Mychal Givens allowed a run in the ninth but recovered to leave the potential tying run at third base and close out a two-inning save, his first of the season. Givens struck out James McCann and retired Yoan Moncada on a groundout to second base to end the game. Jose Ramirez homered and drove in four runs as host Cleveland snapped a three-game losing skid by beating Miami as Jake Bauers and Francisco Lindor each had an RBI single before Ramirez ripped a two-run double to cap a four-run eighth inning. After Miami’s Martin Prado belted a solo homer to forge a tie at 2 with two outs in the eighth inning, Cleveland went to work against reliever Adam Conley (0-3) in the bottom of the frame. Carlos Gonzalez worked a lead-off walk and advanced to second on Jason Kipnis’ single to center field. Bauers followed two batters later by slapping a low fastball through the shift and into left field to plate Gonzalez to give the Indians a 3-2 lead. North Korea employs a fleet of ghost ships sailing around the globe to evade sanctions and buy and sell goods such as coal and oil, according to an in-depth report. The Washington Post published a lengthy look Wednesday evening about North Korea’s actions, which involve meeting other ships in the middle of the ocean to transfer cargo, carrying and transmitting false ship identification numbers, and conducting backroom deals. North Korea has resorted to the illicit actions because sanctions from the UN and the United States have crippled its ability to conduct international trade. Kim will meet with Russian President Vladimir Putin on Thursday. The Post report provided several examples of how Kim’s regime gets around sanctions. 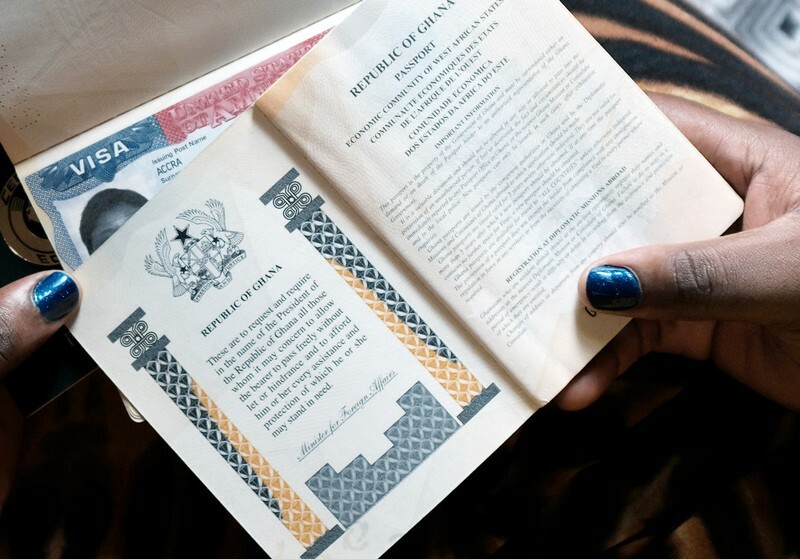 In many cases, ships that do business with North Korean ships are registered in countries that do not conduct full oversight, such as Panama, Togo, and Dominica — called a “flag of convenience,” according to the Post. The UN monitors work near the UN headquarters in New York City and keep tabs on North Korean ships via photos and satellite images. Vladimir Guerrero Jr. is getting his long-awaited call-up to the majors. Toronto manager Charlie Montoyo told reporters following Blue Jays’ Wednesday loss to the San Francisco Giants that Guerrero, the top-ranked prospect in all of baseball by most scouting services, will be called up from Triple-A Buffalo to make his major league debut Friday at home against the Oakland A’s. Guerrero, who plays third base, went 2-for-5 with a home run and a pair of runs scored against Syracuse on Wednesday. In 12 minor league games this season, the 20-year-old is batting .333 (14-for-45) with three home runs, nine RBIs and nine runs. Guerrero’s father, Vladimir, was inducted into the Baseball Hall of Fame last year. The elder Guerrero, 44, played 16 seasons in the majors, primarily with the Montreal Expos and Anaheim/Los Angeles Angels. He was a nine-time All-Star and the 2004 American League Most Valuable Player. The news also comes on a day when the Blue Jays held shortstop Freddy Galvis held out of the game, ending his consecutive-games-played streak at 349. That was the longest active streak in baseball. With Thursday an off day, the club has an extra day to decide whether Galvis, who left the Sunday game in Oakland after trying to field a grounder, will go on the injured list. –The Milwaukee Brewers agreed to a one-year, $2 million contract with free agent left-hander Gio Gonzalez, The Athletic’s Ken Rosenthal reported. The deal includes $2 million in performance bonuses for the 33-year-old veteran, who was released from his minor league contract with the New York Yankees on Monday. Last season, Gonzalez joined Milwaukee in an Aug. 31 trade with Washington and went 3-0 with a 2.13 ERA in five regular-season starts. He also allowed two runs on three hits in three innings against the Los Angeles Dodgers in the National League Championship Series. The two-time All-Star is 127-97 with a 3.69 ERA in 11 big league campaigns. –Tampa Bay Rays infielder Joey Wendle suffered a fractured right wrist when he was hit by pitch by Kansas City left-hander Jake Diekman in the sixth inning. Rays manager Kevin Cash told reporters after the contest that there wasn’t yet a timetable for Wendle’s return. Wendle returned to active duty on Sunday after missing 17 games with a hamstring injury. Wendle is batting .136 in eight games this season. Last year, Wendle batted .300 with seven homers and 61 RBIs in 139 games. –Infielder Daniel Murphy, out since breaking his left index finger in the second game of the season, was activated from the 20-day injured list by the Colorado Rockies. He went 1-for-4 with a walk, a strikeout and a run scored in the Rockies’ 9-5 victory over Washington, with whom Murphy played for two-plus seasons. He signed a two-year, $24 million contract with the Rockies in December. Murphy is a .299 career hitter with 122 homers and 641 RBIs over 11 seasons with the New York Mets (2008-15), Nationals (2016-18) and Chicago Cubs (2018). –The New York Yankees activated catcher Gary Sanchez from the 10-day injured list in time for the team’s game against the Los Angeles Angels. He was placed on the IL with a calf strain April 12. The club also demoted right-handed reliever Chad Green and catcher Kyle Higashioka to Triple-A Scranton/Wilkes-Barre and promoted left-hander Stephen Tarpley from the same affiliate. Sanchez is hitting .268 with six home runs and 11 RBIs this season, although he also has four throwing errors. The Yankees’ injured list still includes names such as outfielders Aaron Judge, Giancarlo Stanton and Aaron Hicks, and right-hander Luis Severino. –The Seattle Mariners acquired right-hander Mike Wright from the Baltimore Orioles for minor league infielder Ryne Ogren. Wright, 29, was designated for assignment by Baltimore on Sunday after going 0-1 with one save and a 9.45 ERA in 10 relief appearances. In five seasons with the Orioles, Wright compiled a 10-12 record with a 5.95 ERA and 192 strikeouts in 242 innings. Ogren is batting .146 with one home run and three RBIs in 11 games at Class-A West Virginia. WASHINGTON (Reuters) – A merit-based immigration proposal being put together by White House senior adviser Jared Kushner could lead to an increase in U.S. visas for highly skilled workers, sources familiar with the effort said on Wednesday. Kushner is expected to present the comprehensive plan next week to President Donald Trump, who will decide whether to adopt it as his official position or send it back for changes, the sources said. The plan does not propose ways to address young people who came to the United States illegally as children who were protected by President Barack Obama in the 2014 program known as Deferred Action for Childhood Arrivals (DACA), or those people who have Temporary Protected Status, the sources said. Democrats, whose support the White House would need to advance any kind of immigration legislation through Congress, have insisted that the DACA recipients be protected. Kushner has held about 50 listening sessions with conservative groups on immigration, a senior administration official said. He has been working with White House economic adviser Kevin Hassett and policy adviser Stephen Miller on the plan and the sources said there has been some intense behind-the-scenes jockeying about the plan. At a Time magazine forum in New York on Tuesday, Kushner said he was working well with Miller, an immigration hawk, on the topic. The two men are both long-time Trump advisers. “Stephen and I haven’t had any fights,” he said with a smile. That drew skepticism from immigration advocate Marshall Fitz of the Emerson Collective, who gave Kushner credit for advancing criminal justice reform but said immigration was a dramatically different issue that Miller was dominating at the White House. “It’s impossible to see how Kushner could navigate an issue this freighted with history and central to the president’s re-election strategy in a way that would actually move the ball forward,” Fitz said. As a White House candidate in 2016 and throughout his presidency, Trump has advocated a hard-line policy on immigration, pushing for a wall to be built on the U.S.-Mexico border and using bruising rhetoric to describe people who have fled Central American countries to enter the United States. Republicans have largely supported his immigration proposals, but the latest White House plan aims to bring them together on a broader basis. Some in the U.S. business community have asked that the number of highly skilled visas be raised to attract more employees from abroad for specialized jobs amid a booming U.S. economy. Trump himself has talked of the need to bring in more skilled workers. The immigration plan would either leave the number of highly skilled visas each year at the same level or raise it slightly, the sources said. The overall goal is to reshape the visa program into a more merit-based system, a key Trump goal. Officials working on the plan have been reviewing the systems used by Canada and Australia as possible models for the Trump effort. The group has been working on a guest-worker program as part of the proposal to address the U.S. agriculture community’s need for seasonal labor while not hurting American workers, but nothing has been finalized, the sources said. Trump has sought to court farmers in key battleground states to boost his chances of re-election in 2020. The proposal will include recommendations for modernizing ports of entry along the U.S. border to ensure safe trade while preventing illegal activity. It will also address asylum laws to take account of Trump’s desire to reduce the number of people who overstay their visas, the sources said. Kushner, who is Trump’s son-in-law, is also a main architect of a Middle East peace proposal that the president is expected to unveil this summer. His objective on the immigration plan at the very least is to have a document that represents the president’s immigration policy and provide something that Republicans can rally around. NEW YORK (Reuters) – A U.S. biofuels trade group asked a federal court on Wednesday to stop the Environmental Protection Agency from giving refiners new waivers from the country’s biofuels law until the agency reverts to the tougher criteria it used to assess applications before Donald Trump’s presidency, according to court papers. The waivers can exempt small refineries — those with a production capacity of 75,000 barrels per day or less – from the requirements of the Renewable Fuel Standard, which mandates U.S. refiners blend biofuels into the fuel pool or buy compliance credits from those who do. Trump’s EPA has vastly expanded the biofuel waiver program to save the oil industry money, angering Midwest farmers who say the policy destroys demand for corn-based ethanol and other biofuels at a time they are already struggling – putting the administration in the center of a fight between two key constituencies. The U.S. Renewable Fuel Standard is meant to help farmers by requiring refiners to blend certain volumes of biofuels into their fuel each year or purchase credits from those that do. But the RFS also allows small refineries to apply for exemptions to the regulation if they can prove that compliance would cause them financial harm. For 2017, the Trump administration’s EPA granted 35 exemptions to small refineries without denying any applications, up from seven exemptions issued in the last year of the Obama administration, according to EPA data. That has reduced the costs of credits some refiners such as Valero Energy Corp, PBF Energy Inc and HollyFrontier Corp must buy in order to comply with the RFS, saving them hundreds of millions of dollars. 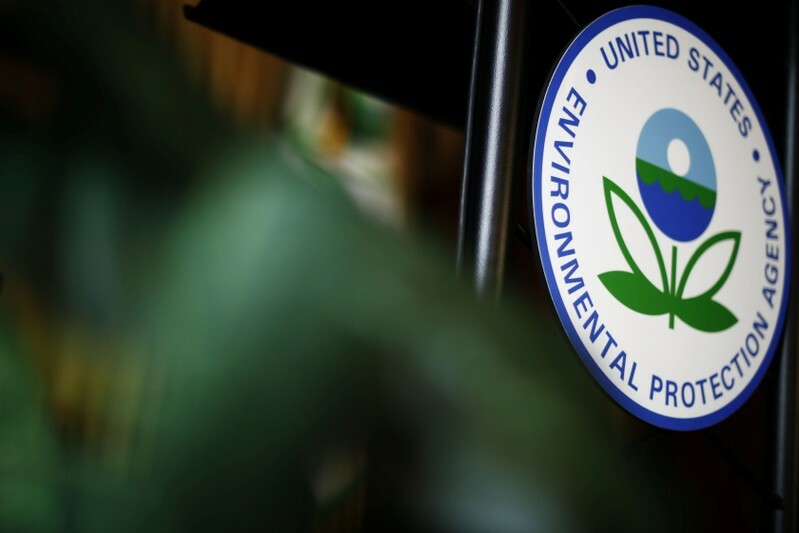 The EPA has argued it was forced to use a more liberal assessment process for waiver applications after a U.S. Appeals Court said in 2017 that the agency had been too strict in granting waivers during the Obama administration. But ABFA has argued the agency illegally changed its process of assessing applications, making it possible for refineries owned by major oil companies like Exxon Mobil Corp and Chevron Corp to secure them. The EPA, which typically does not comment on pending litigation, did not immediately respond to requests for comment. ABFA asked the court to stop the EPA from granting the next round of exemptions for the year 2018 – due to come any day now – until its case challenging the 2017 waivers is resolved or the agency decides to go back to its old way of assessing applications. “We can’t put the toothpaste back in the tube if the 2018 exemptions are approved using an illegal scoring system,” said McAdams. According to ABFA’s complaint, the Trump administration’s EPA stopped considering whether a refinery could remain profitable while complying with the RFS, and instead began considering only whether compliance would cause a “disproportionate” financial impact, an easier hurdle to clear. In 24 out of 48 recent cases, the EPA granted waivers to refiners that the government believed would have remained competitive and profitable if they had been forced to comply with the RFS, ABFA alleged in the court documents, citing EPA documents outlining their decisions. 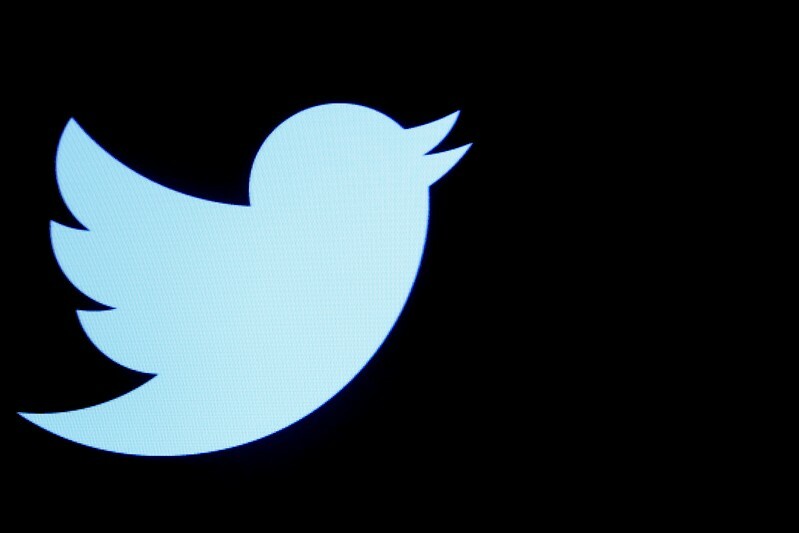 SAN FRANCISCO (Reuters) – Twitter was ablaze on Wednesday with humorous commentary and speculation over why Tesla Inc’s first-quarter earnings release was so late. As of 5:05 p.m. ET (2105 GMT), one hour after the market close, the results still had not been released. 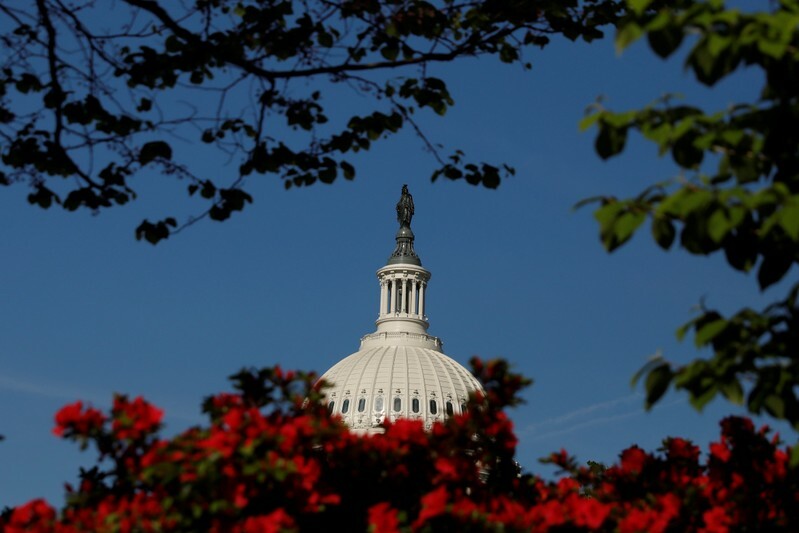 SAN FRANCISCO/NEW YORK (Reuters) – Stephen Moore, the economic commentator that U.S. President Donald Trump has said he will nominate to the Federal Reserve Board, is drawing new fire from top Democrats for his comments denigrating, among other targets, women and the Midwest. But Republicans, whose 53 to 47 majority in the U.S. Senate gives them the final say on whether Moore’s pending nomination is confirmed, have not weighed in since news surfaced this week documenting Moore’s long history of sexist remarks, some of which he says were made jokingly. As a Fed governor, Moore would have a say on setting interest rates for the world’s biggest economy. Some economists and Democratic lawmakers have questioned his competence, citing his support for tying policy decisions to commodity prices and his fluctuating views on rates. This week though, it is his comments about gender and geography that are drawing criticism. “What are the implications of a society in which women earn more than men? We don’t really know, but it could be disruptive to family stability,” Moore wrote in one column in 2014. In 2000, he opined that “women tennis pros don’t really want equal pay for equal work. They want equal pay for inferior work.” The New York Times among others has documented many other instances where he expressed similar viewpoints. It’s just added evidence that Moore is unfit for the Fed job, vice chair of the joint economic committee Carolyn Maloney told Reuters. “Those include his reckless tendency to politicize the Fed as well as his bizarre and sexist comments about women in sports that came to light this week,” she said. Maloney earlier this month sent a letter urging Republican Senator Mike Crapo and Democratic Senator Sherrod Brown to oppose Moore’s nomination. Crapo and Brown are the chair and vice chair, respectively, of the Senate banking committee, which would be Moore’s first stop in any confirmation hearings. Senators Elizabeth Warren and Charles Schumer, both Democrats, have also publicly criticized Moore as well as businessman Herman Cain, who withdrew his name from consideration for the Fed this week amid mounting objections. Cain said he stopped the process because he realized the job would mean a pay cut and would prevent him from pursuing his current business and speaking gigs. The Senate banking panel’s 13 Republican members, contacted by Reuters about their views on Moore’s suitability for the Fed role after his derisive commentary about women came to light, all either did not respond or declined to comment. But Brown on Wednesday blasted Moore for comments he made in 2014 calling cities in the Midwest, including Cincinnati, the “armpits of America.” Brown demanded an apology. On Wednesday, Moore told Reuters his earlier remarks on women were not in accord with his current views. “I DO regret writing that column 17 years ago and it does not reflect my feelings today,” he said, referencing a column on his dim view of women’s participation in the game of basketball. His views on the Midwest also had improved, now that Trump is in office.